The Buffalo Bill Center of the West’s Draper Natural History Museum celebrates the seventh anniversary of its Draper Museum Raptor Experience this year. The Raptor Experience presents educational live-raptor programs to thousands of Center of the West visitors every year. Jade, the Draper Museum Raptor Experience’s bald eagle. 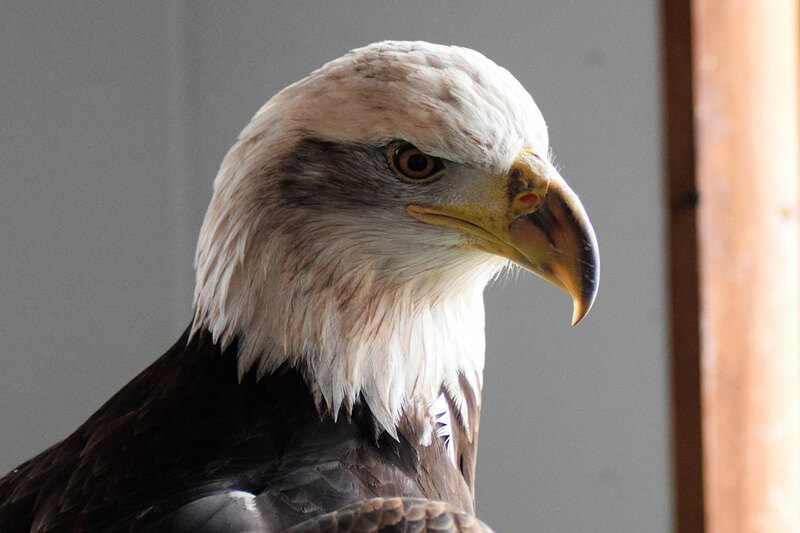 During the winter when Center visitation slows, the Draper Museum Raptor Experience partners with schools in Wyoming and the surrounding region to teach students of every age about these magnificent birds of prey and human interaction with their ecosystem. Raptor Experience staff tailor lessons to fit the birds and the age group of the students that have come to visit, or who meet the raptors in their classrooms—or other settings away from the Center. The Draper Museum Raptor Experience is unique from other live-bird presentations you might visit around the country for two reasons: these raptors can be found in the local region while other presentations include birds from around the world, and these raptors are disabled—meaning that they cannot be released into the wild. Today, the Raptor Experience raptors are no longer injured, they simply healed in such a way that they will never be able to care for themselves in the wild. In some cases, they cannot fly or see well enough to hunt. Suli, the turkey vulture, was raised by humans from two weeks of age, so she never learned how to use all the skills a turkey vulture needs to survive in the wild. Now, the birds live in the Draper mews at the Center, essentially a barn for birds where each raptor has their own individual stall designed to meet its unique needs. They are out of the public view in the news because that is their home and sanctuary. It is important to remember that, all the raptors who now make their home and sanctuary. It is important to remember that, all the raptors who now make their home in the Draper mews are wild animals. Staff and volunteer are trained to put the safety of the raptors and our visitors first. Monte, the Draper Museum Raptor Experience’s eastern screech owl. Each of the 11 Draper Museum Raptor Experience raptors has unique needs and characteristics which make them the perfect ambassadors for their species. The Center’s natural science staffers study raptors because they are a window to the world and are often indicator species for the larger environmental picture. 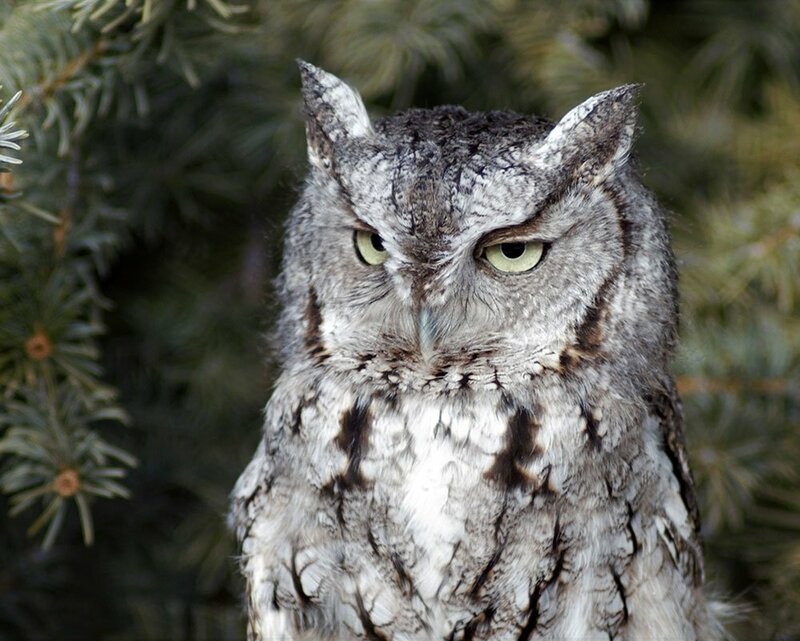 Learning about local birds of prey and viewing them up close and personal, allows students and visitors to identify the raptors they will see in the Greater Yellowstone Region, as well as gain a newfound respect for wildlife. Those who wish to make a difference in the Draper Raptor Experience program may do so by adopting one of the raptors online or by making a donation. One-hundred percent of donations made to the program go to providing care, food, and necessary medication for the raptors. The Raptor Experience program is funded in part by the Nancy-Carroll Draper Foundation, the W.H. Donner Foundation, the University of Wyoming, the Donner Canadian Foundation, and Leighton and Linda Steward. For more information about Draper Museum Raptor Experience programs and presentation opportunities for parents and educators, please contact the Assistant Curator in Charge of Live Raptors, Melissa Hill at [email protected] or 307-578-4111. Since 1917, the award-winning Buffalo Bill Center of the West in Cody, Wyoming, has devoted itself to sharing the story of the authentic American West. The Center is an affiliate of the Smithsonian Institution. For additional information, visit centerofthewest.org or the Center’s pages on Facebook and Twitter.